From parties to live music to mouthwatering specials, here's our list of top places to go if you're in the mood for some shenanigans! These specials are so nice, they're serving them twice! This classic Farmingdale pub is celebrating St. Patrick's Day on both Sunday, March 11 and Saturday, March 17 with $5 drink specials and a special Irish-themed menu including Irish nachos, Shepherd's pie, and Shamrock Bavarian pretzels. How's that for a good time? 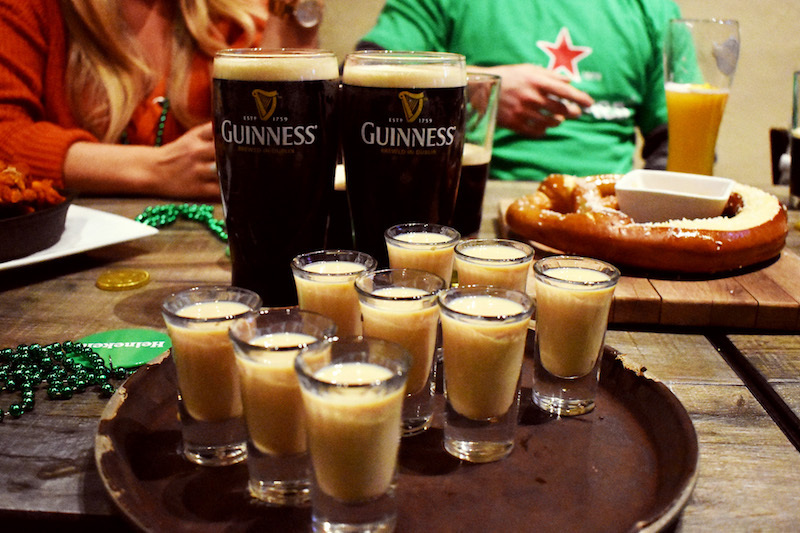 Irish or not, it's easy to have a good time at Rowdy Hall with their St. Patrick's Day Irish food and drink specials. Enjoy classics like Irish bacon and cabbage soup, bangers and mash, and Irish coffee ice cream sundaes along with drink specials available all day and night. Even better, these specials will be served on both Saturday, March 17 and Sunday, March 25 in honor of the Montauk St. Patrick's Day. Talk about lucky! Skip kissing the Blarney stone and focus on what's really important: good eats! On Saturday, March 17, the Snapper Inn will be serving Irish dinner specials including Jameson Honey glazed grilled salmon, drunken Irish seafood pot, Irish cream cheesecake, and soda bread pudding. The night will also feature live music with Acoustic Steve from 5 to 9 p.m for some added Irish authenticity. Cheers! Get ready to shamrock n' roll at Paddy's Loft! From Tuesday, March 13 through Sunday, March 17, this traditional Irish pub will be celebrating with live music, specialty drinks, and a menu full of Irish classics: three ingredients for a perfect celebration! The party don't stop until Springs Tavern closes! Fortunately for us, said restaurant won't be closing until 2 a.m. during their St. Patrick's Day celebration, giving us plenty of time to get our boogie on. Starting at 11 p.m. on Friday, March 16, this local favorite will be serving drink, beer, and shot specials plus live music from DJ Matty Nice for a night to remember!